If you thought you had post-election letdown syndrome, with the endless hours of TV punditry and blog pontification that once filled your days and nights suddenly evaporating, imagine what Nate Silver feels like. His labor-intensive web site, fivethirtyeight.com, rocketed to prominence last year as the most reliable and thorough electoral predictor around, but after the election, what does he have to post about? Well, it turns out his geeky brilliance can be used to predict other things as well, including the lame old Oscars, heading to your TV this Sunday. 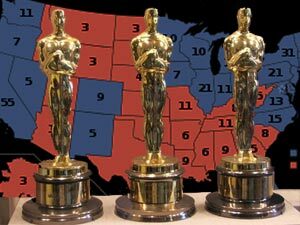 Silver fed the history of Oscar winners into his supercomputer for New York magazine, and the results included both the obvious and the somewhat surprising.